Still, the damage was bad enough that Oklahoma governor Mary Fallin is preparing an emergency declaration. The bulk of the injuries occurred when a tornado hit two south Oklahoma City trailer parks. “Crews are searching the areas now, going door-to-door looking for victims in need of assistance,” said Patty, according to Reuters. Two other people were injured in a weather-related road accident, one person was hurt entering a storm shelter, and another was hit by flying debris. Tornadoes were first spotted in the late afternoon in Oklahoma, and by the evening rush hour several major roads, including I-44 and I-35, had to be closed because of debris and downed power lines in the road. More than 17,000 homes and businesses lost power statewide. Local officials said about 10 homes were destroyed in Amber, and about 25 were leveled or seriously damaged in Bridge Creek, the AP reports. The Tiger Safari park in Tuttle, about 30 miles southwest of Oklahoma City, took a direct hit, and residents were warned to stay inside because several animals had escaped. Officials initially said tigers were on the loose, but it was actually bears. They were quickly recaptured, and the zoo’s owner said none of the animals were injured. Parts of Oklahoma and Kansas saw hail as large as a golf ball. Tornado watches were lifted in most areas around 9 p.m. CT, but more storms are possible in the next few days. 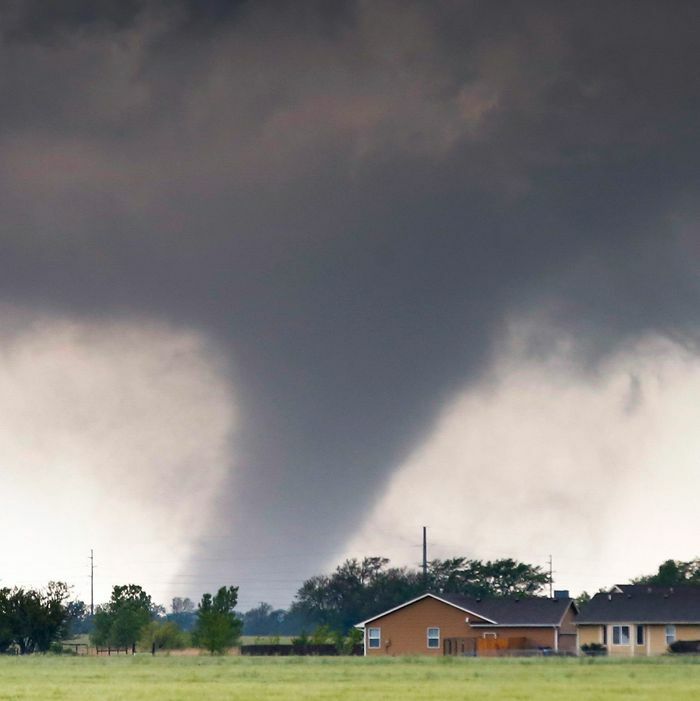 “People just really need to stay weather aware, have a plan and understand that severe storms are possible across portions of the southern Plains almost daily through Saturday,” National Weather Service meteorologist Jonathan Kurtz told the AP.